In pictures: Relatives, friends, colleagues, politicians and ministers bowed heads in memory of Georgi Kaloyanchev, the prominent and beloved Bulgarian actor, at a funeral service on December 21. He died on Tuesday at the age of 87. 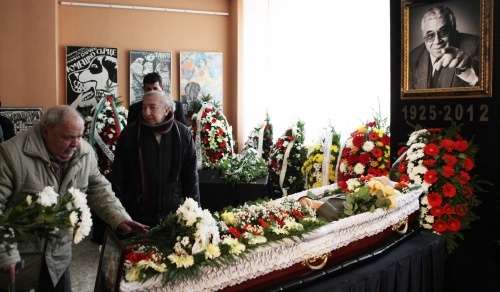 Relatives, friends, colleagues, politicians and ministers bowed heads in memory of Georgi Kaloyanchev, the prominent and beloved Bulgarian actor, at a funeral service on December 21. He died on Tuesday at the age of 87.